Back pain has so many sources. What they have in common is a heavy impact on a person’s life. Studies show that over 100 million Americans suffer from chronic back pain. Costs of pain care is in the billions of dollars each year in this country. A large portion of that is spent on pain medications and surgery. Seeing a chiropractor at Fearn Natural Health Clinic for your back pain in Vancouver, WA is a natural and effective alternative to medication and invasive back pain treatment. While chiropractors do care for much more than just back pain, back pain is among the most common reasons why patients seek chiropractic care. Back pain can be brought on by something as simple as bending over to pick up a small item. It can also come from an impact that creates an injury. No matter the cause of your back pain, chiropractic care is a gentle, non-invasive, natural treatment that helps put your body back in alignment, easing the pain and aiding the body in healing. Spinal manipulation puts your back and corresponding joints into alignment. This can result in immediate relief from pinched nerves and disc misalignment problems. Being in proper alignment aids blood circulation and allows fluid buildup, or inflammation, to drain out of the area. This aids the body’s natural healing processes. Massage therapy goes hand-in-hand with chiropractic care for back pain. Helping move inflammation out of the area and increasing circulation compliments the manipulation done by our chiropractor. Massage also helps relax tense muscles that may be pulling the spine out of alignment. Together chiropractic care and massage therapy assist the body in staying in the correct position for optimal health and relief from back pain. Don’t let back pain impact your life. There is a natural solution! 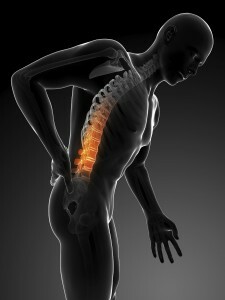 Contact our office today and find out how we can relieve your back pain in Vancouver, WA. We are proud to serve the Vancouver, WA area! With the beauty of the Columbia River Gorge and the thriving downtown area, Vancouver, WA has it all!